Savas Beatie Teams up with Olive Software to Release an Enhanced Interactive Digital Edition of the Civil War Bestseller Richmond Redeemed for 150th Anniversary! El Dorado Hills, CA, September 11, 2014—Savas Beatie is pleased to announce the release of a universally viewable “enhanced” interactive ebook of Richmond Redeemed: The Siege at Petersburg, by Dr. Richard Sommers. This special edition utilizes Olive’s SmartLayersTM technology to include substantial extra content written, collected, and organized by the author during the three decades since its original 1981 release. “Olive Software is pleased to launch its innovative SmartLayers content enrichment service with Savas Beatie. We believe SmartLayers represents a terrific platform for publishers to create premium editions of their static ebooks and turn them into highly engaging, dynamic products. The Savas Beatie team has done just that with their SmartLayers-enabled edition of Richmond Redeemed,” said Joe Wikert, Director of Strategy and Business Development at Olive Software, Inc. Thanks for picking this up, Brett. We are very excited about it, and look forward to our readers test-driving this new version, both in print and in the coolest and most useful digital format anyone has ever experienced. 1. Can it be purchased at Amazon? 2. Do I need to download a proprietary reader? 3. How are the videos hosted? Can the hosting company arbitrarily take them down? 4. Can font sizes be adjusted? 5. I am pleased that you provide page numbers because it is important for those of us who want to cite the book as a reference in our own works. (The absence of page numbers in your Kindle version of the Spring Hill and Franklin book led me to use “Kindle Location Number” within such references, which is not satisfying to those owning a physical version of the book.) BTW, how do your authors deal with the problem of citing a book when their copy is Kindle and they don’t have page numbers? Hi Phil, Thanks for the inquiry. 1. No. 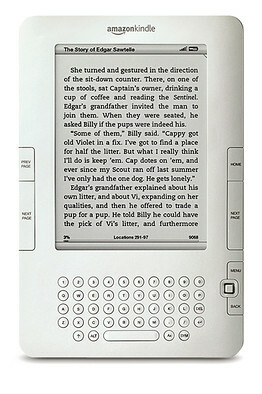 This is not a Kindle or Amazon product. 2. This unique e-book / tech can be read on any device that connects to the internet. Your PC, tablet, phone, etc. 3. The book remains in the cloud, but you have full access to it anywhere, in any device, and when it is updated by the author, the next time you access it, it is automatically updated. I suppose Olive software could take it down, but they make money on each sale, so why would they? Any company could shut down any link on its site. 4. No, the style is locked so it looks and feels like the book, but you can zoom in and the effect of enlargement is the same. 5. Every house does it differently. As of 2011, many Kindle books have real page numbers that correspond to in-print editions (this applies I have read to only Kindle third generation products and newer). Kindle “location numbers” generally should not be used in citations because they have limited retrievability. We generally tell authors to cite the book as normal, note it is i Kindle (or Nook, etc.) format, and the hard page if present, or leave that off it it is not there. 1. No, the SmartLayers edition is only available from the Savas Beatie website. The main reason for this is that the type of enrichment we’ve done with this book simply cannot be presented through the Kindle platform. 2. No, you don’t need to download a proprietary reader. These SmartLayers books are read directly in your browser. 3. The videos included in this edition are all from YouTube, I believe. Although it’s certainly possible they could be removed from YouTube we’ll keep an eye on them and replace or change the links if necessary. 4. Our ebooks are currently presented in what’s referred to as a fixed format layout. That means we replicate the print page in the e-edition. One benefit is that you get the content in the print edition layout, just as the publisher intended it to be. This also enables us to utilize the original page numbers from the print edition, which I see you were pleased with in item #5. As such, while we don’t enable you to change the font size we do offer a zoom in/out feature to make the type larger/smaller, if necessary. I hope you’ll consider buying the SmartLayers edition! Thank you for alerting your readers to the publication of the expanded 150th anniversary edition of RICHMOND REDEEMED. The hardback and regular e-book versions have new sources, new photos, new thinking, and new analysis beyond what the 1981 edition included. The enhanced e-book has even more sources, photos, and author commentary than the regular e-book and hardback versions contain. I am very excited about all three versions. I welcome the opportunity to make this revised edition available to a new generation of readers as well as to readers who may have the first edition. 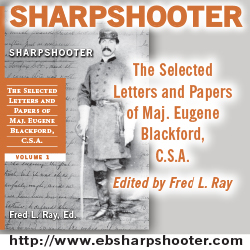 It is a pleasure to be included in the handsome list of Civil War books that Savas-Beatie publishes and to serve as the vanguard for the enhanced e-books from Olive Software. Thank you so much for announcing us on your excellent website on the Siege of Petersburg. I get the impression that the viewing experience (aside from note taking, underlining, video embedding, etc) is going to be much like some of the books public domain books I read online. I prefer to read them on my iPad as opposed to my desktop Mac. Often I read books in bed including Kindle versions. Your approach requires that I be constantly connected to the Internet, but I do not have good WiFi in the bedroom. That means reading e-Books on my iPad in the bedroom results in slow page turning and page loading. I guess I should get a WiFi repeater in that room. I also like to read when I am at the gym on a stationary bike. That requires that I use a cellular connection which is also kind-of slow. Nonetheless, your innovation can be a powerful tool. I like the constant updating permitted. Does it make sense to embed an introductory video of Richard Sommers? I often like to watch author interviews on YouTube and there seems to be no reason why the book could not include one of Sommers. Hi Phil. It’s important to point out that you actually do not need to be connected to the Internet to read our books. We offer a download option so you can have the content reside locally on your device. That way you can still read the book if you’re out of wifi range. What you won’t have access to in those situations though is the enrichment piece. Since we’re linking you out to live web elements through SmartLayers obviously there’s no way to do that if you’re offline. But rest assured that you can indeed read the core book while you’re offline, similar to how you would read a Kindle book after you download it. You have a good idea. Thank you for your interest in RICHMOND REDEEMED. Actually, the enhanced e-book includes a video of me giving a presentation on “The Generalship of Ulysses S. Grant and the American Civil War” at the U.S. Army Heritage & Education Center in 2011. I shall speak there again next month on “Richmond Redeemed: Lessons in Strategic Leadership from the Siege of Petersburg” (7:15 p.m., October 15, 2014). When the video of that talk is posted, it too will be linked via Olive Software. Those two videos accompany the author biography on the last page of the enhanced e-book. Are there substantive changes to the text that justify buying the new edition? If we decide not to buy the paper version of the new edition, can we get the e-book, and for how much? How much is new or additional material? 10 to 20%, 20 to 30% or more. How many more pages than the original edition? I am glad you enjoyed the first edition. I hope you will enjoy the 150th anniversary edition as well. It contains much new material: 168 new printed and manuscript sources, nine new illustrations, 231 new endnotes, two new appendices, even a handsome new dust jacket. Except for those appendices, the new material is not concentrated in specific places but is interwoven throughout the entire book. This is especially true for the new thinking, new analysis, new approaches to understanding and presenting generalship. All these additions make the 150th anniversary edition essentially a new book. To use your categories, I would estimate that 10% to 20% of the book is new. Yet all this new material is available in a book that is actually 28 pages smaller than the 1981 edition. This is because the current book uses longer lines with slightly smaller type point.